So, you want to know everything about portfolio management jobs? You're on the right page. 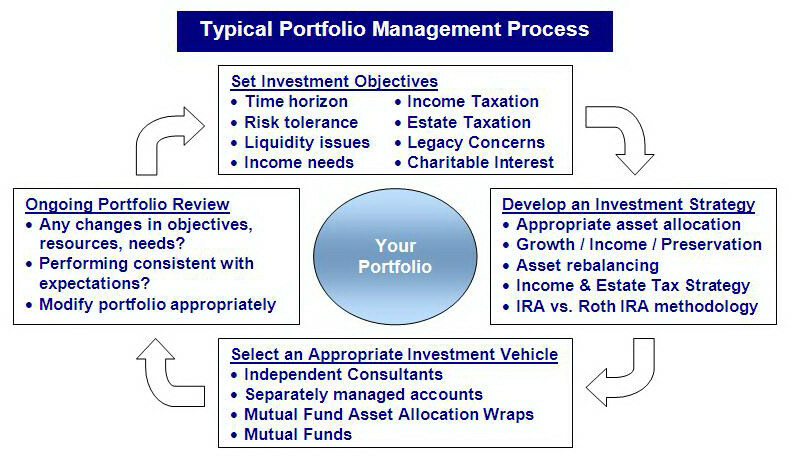 Portfolio management is the process of managing assets and investments. The main objective of portfolio management is to make the largest returns possible on original investments. The main duty of a portfolio manager is to accommodate clients’ risk tolerance with their investment goals and objectives. These professionals strive to attain optimum returns given the amounts of acceptable risk. Effective portfolio management ensures that clients’ investment goals and objectives are met. For example, if the goal of a client is asset protection, portfolio managers will invest in conservative, low-risk securities. On the other hand, if a client needs current income, portfolio managers will invest in income-generating securities such as bonds. Generally, younger clients prefer to invest in high risk securities because of their long-term perspectives. There are two main types of portfolio management strategies: passive and aggressive. Using either of the two strategies does not require great deal of knowledge about investment markets. The main goals of the two strategies are diversification of assets, cash cycles, industry, assets and duration. Passive and aggressive investment portfolio techniques rely on alternating price points. The main features of the passive strategy are that it assumes that the market is highly efficient and has return goals equal to the market. On the other hand, an aggressive strategy assumes that the market is highly inefficient and therefore, portfolio managers must strive to make returns above the market. The type of strategy a portfolio manager will use is determined by the type of information he/she has. 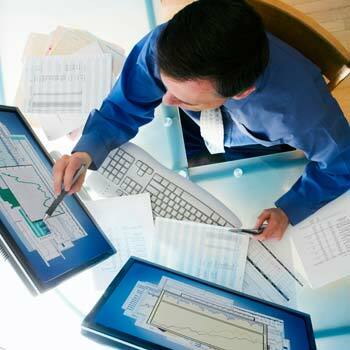 Active portfolios use available information from industry reports and performance indicators to seek out more information. Passive portfolios are composed of well-known value stocks that pay dividend. A passive portfolio relies on markets with solid yields. Aggressive portfolios take on riskier investments because they aim at generating greater returns than the market. Success of a portfolio management technique is largely determined by self-discipline. Value-oriented, low risk investment portfolios are usually more successful than those that try to take advantage of short-term market anomalies. Your investment character is defined by your adherence to chosen strategies when markets move against your techniques. Enroll in a portfolio management program in college. Most portfolio managers have a bachelor or master’s degree in economics, accounting, finance or business administration. Try to establish relationships in companies located in larger cities and financial centers such as New York City, London and Tokyo, because most investment firms are headquartered in countries’ financial hubs. Gain work internship to improve your analytical skills. One of the best ways to begin a career in portfolio management is to complete an on-the-job training program to familiarize yourself with securities analysis past your university education. Once you complete the program, you may obtain a job as a securities analyst and specialize in specific geographic regions or investment products. Your success as an investment analyst will determine whether you will be promoted to the post of portfolio manager. Seek advanced training after a few years’ work experience. Many financial managers seek certifications such as the Chartered Financial Analyst (CFA), sponsored by the CFA Institute. The most distinct benefit of this charter is that it is a professional designation recognized all over the world. This is a securities designation to aspire if you plan to become a portfolio manager. According to the CFA Institute, the Chartered Financial Analyst designation is the most respected and recognized designation for securities analysts. Unlike college degree programs, you can keep working and furthering your CFA education because it is a self-study program. Seek advanced recognition at work. You need to have advanced educational credentials and work experience to be promoted to the post of portfolio manager. You are your own best advocate when climbing the corporate ladder. With this in mind, negotiate promotions and responsibilities when necessary. Added responsibilities mean longer hours and extreme competitiveness. A group of financial analysts works under a portfolio manager to study the market and identify investment vehicles. One of the duties of portfolio managers is to meet regularly with the financial analysts to discuss and design investment strategies. Portfolio managers may come up with many investment strategies. However, the most important factor in the success of an investment strategy is whether it will advance the objectives of the company. It is the responsibility of the portfolio manager to analyse investment strategies and decide the projects and plans that will advance the objectives of the company. Other duties of portfolio managers are to prioritize each investment vehicle, allocate resources and plan implementation. To succeed in portfolio management, you must maintain perspective when implementing strategies and always act in the best interest of your company’s long-term financial plans. Many commercial banks and financial institutions hire portfolio managers to decide how to invest in securities such as bonds. These portfolio managers also ensure that depositors are paid interest that is proportionate to interest earned from loans. Good portfolio managers keep abreast of market conditions and try to adapt accordingly. For example, if you work with stocks and funds, you may be required to make split-second decisions to adapt to market shifts. It is your responsibility as a project manager to remain flexible and creative while continuing to advance your company’s long-term financial objectives. This is one of the most important components of investment portfolio management. The main goal of asset allocation is to manage risks effectively. Aggressive portfolios can have about two-thirds in stocks and the rest in bonds. Today, many portfolio managers will advise their clients to place about 10 percent of their portfolios in gold and silver as well. The objective is to diversity investment by allocating resources to unrelated investments. The underlying reason for allocating resources to diversified investments is to cancel out losses and protect gains made in other segments. Your investment portfolio management guidelines are partly determined by your investment goals. Aggressive goals will have less stringent guidelines. Clients saving for retirement in about 20 years will put more emphasis on risky investments like stocks and commodities. Older clients will probably want investment portfolios dominated by fixed income debts to ensure steady incomes with limited downside risks. Many people favor long-term federal debt because they are relatively safe investments. Short-term investment portfolios use different strategies than those used in long-term investment portfolios. Short-term investment portfolios can lose a large percentage of their capital because they are filled with leveraged investments. Investors are advised to exit their losses early to prevent significant losses. This is an important risk management strategy in portfolio management. Hedging refers to the process of buying opposite position on the same or correlated asset for each investment. According to Payscale.com, the annual average salaries of portfolio managers are between $60, 524 and $115,410. In addition, they can earn annual bonuses between 8.5 percent and 30 percent, commissions of between 7 percent and 13 percent as well as profit sharing of between 5 percent and 13 percent. Consequently, you can earn a total annual income of between $72,723 and $180,713 as a portfolio manager. Portfolio managers with significant experience can expect to earn higher salaries. For example, according to Payscale.com, portfolio managers with less than a year’s experience earn annual salaries of between $45,663 and $68,784. Portfolio managers with 1 to 4 years’ experience can earn yearly salaries of between $45,827 and $71,464. If you are a portfolio manager with 5 to 9 years’ experience, you can earn annual salaries of between $64,105 and $100,965. After 10 to nineteen years working as a portfolio manager, you can expect an annual salary of between $81,776 and $132,494. Portfolio managers with the highest salary expectations are those who have more than 20 years’ experience in the field. They can expect an annual salary of between $82, 379 and $135,873. The salaries of portfolio managers can be determined by industry. According to Payscale.com, portfolio managers in the investment fund industry are the highest earners with annual salaries of between $92, 710 and 157, 386. The second highest earners are portfolio managers in asset management with annual salaries of between $72,193 and $133,867. Other high earners are portfolio managers in fund management or trust companies earning annual salaries of between $57,990 and $122,815. The lowest earners are portfolio managers working for commercial banks who earn between $50,958 and $77,226 per year. Portfolio management goes against the classical security analysis approach by constructing a collection of investments through asset allocation and diversification. One of the biggest challenges in securities trading is the uncertainty of investments’ future performance and the risk of potential losses. However, effective portfolio management prevents losses by cancelling out different investment returns among investment components. Author Bio:Tammi Rogers writes for Blueprint Wealth Financial Planners in Perth, Western Australia. Have a question on something within this article? Connect with Tammion on Google+ to discuss!